Every year from April 13 to 15, the Songkran festival, which is also the traditional Thai New Year, takes place across Thailand. The date was originally set by astrological calculations, but it is now fixed on 13 April, the festival may be extended if some of the celebrations fall over a weekend. 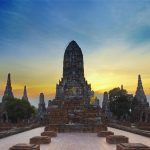 Traditionally the Thais will start off the day by visiting local temples, offering food to monks & perform water pouring on Buddha statues which signifies purification & washing away the bad luck to start a brand new year. The festival is also well known as the water festival. 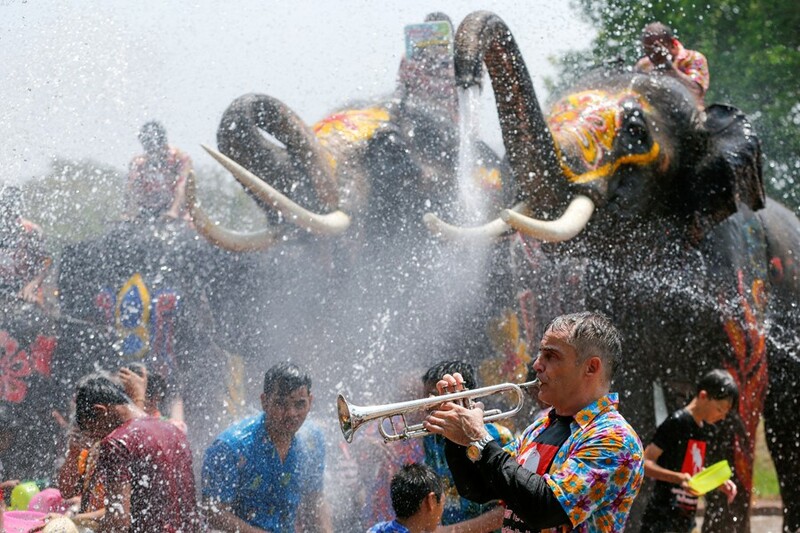 During this period, tourists from far & wide flocked into Thailand to celebrate this annual water splashing celebration together with the Thais. 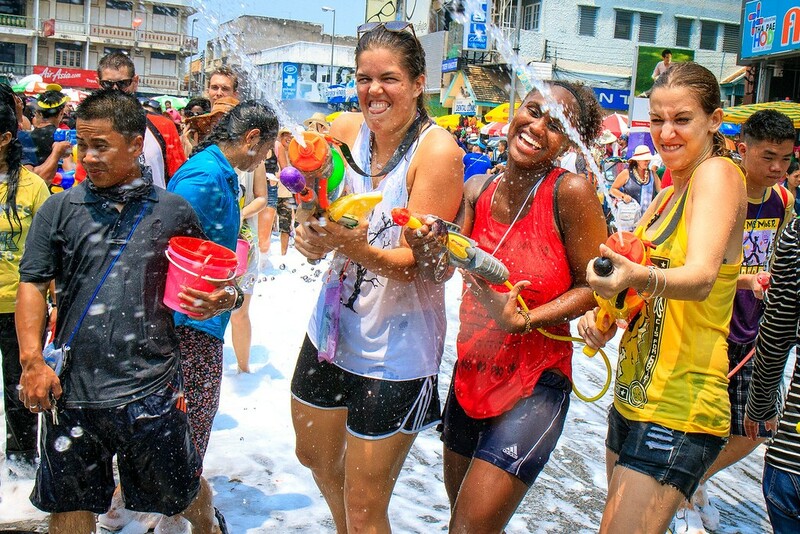 Songkran Water Fight 2017Khao San Road, Bangkok, 13-15 April 2017, 10.00-23.00 hrs. Silom Road, Bangkok, 13-15 April 2017, 10.00-00.00 hrs. Around the City Moat, Chiang Mai, 11-16 April 2017, 09.00-22.00 hrs. Pattaya (North, Central, and South Beach), Lan Bodhi Park Na Kluea and Chon Buri, 11-20 April 2017, 09.00-00.00 hrs. Khao Nieo Road, Khon Kaen, 13-15 April 2017, 10.00-20.30 hrs. Patong Beach, Phuket, 12-13 April 2017, 10.00-22.00 hrs. Hat Yai Midnight Songkran at Nipat Uthit 3 Road, Sanehanusorn Road and Wat Mahatta, 11-15 April 2017, 10.00-23.00 hrs. 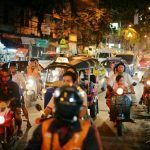 Songkran Ko Samui (Chaweng Beach), 13 April 2017, 08.00 – 20.00 hrs. Make sure you use clean water. If you run out of water, some vendors are selling them (just remember to ask for the price before refueling). For even more fun, you can fight with water pistols, buckets, cups and garden hoses. However, high-pressure hose and guns are prohibited for safety reason, you might be charged with a heavy fine for using them. Remember to not shoot other people in the eyes since it is considered as irritating and dangerous. Getting soaked is inevitable so it’s important that you dress accordingly. Don’t dress in white unless you know thoroughly what you wear under the clothes, avoid any thick fabrics as they may get really uncomfortable and heavy. Putting swimsuit underneath and wearing swimming goggles are also great ideas. Put all your valuables and electronics in a waterproof bag, plastic pouch or even a Ziploc. Watch all of your belongings carefully. 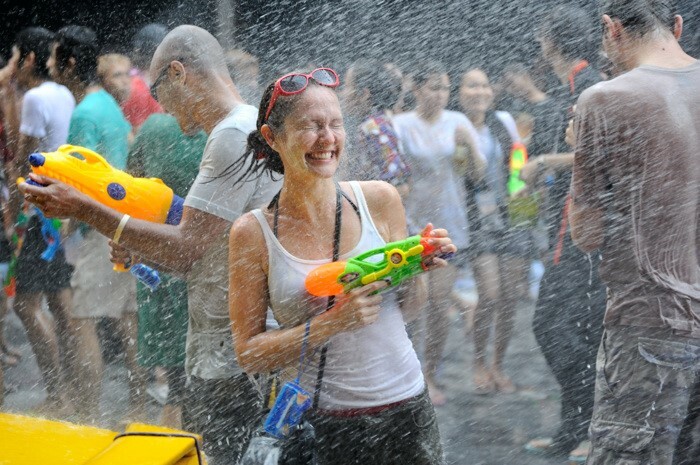 There would be a countless number of funny and crazy moments you might want to capture in a festival like Songkran. Use public transportation: the traffic will be paralyzed due to the festival.